Everyone tells me about the differences between classroom environments and digital, or the complexity of intertwining both, In this new context in which restaurants and hospitality sail towards the future uncertain and in an environment increasingly complex. It seems as if anidásemos in two different worlds and disconnected where actions and decisions taken in one, did not influence the other. But as so often happens lately, the client returns to give us a lesson, and already is ahead of our industry, cohabiting daily in a context where factly merges the Online and Offline. It is able to book a table from your mobile and then go to the restaurant, placing an order food delivery to taste digitally in just over 15 O 20 minutes, to pay the restaurant bill through your smartphone, to share a picture of your favorite dish in their social channels or move a digital criticism of a Lived Experience. Just a few examples of this amalgam of actions that take you and bring you constantly On what to Off, and the Off to On with complete simplicity. 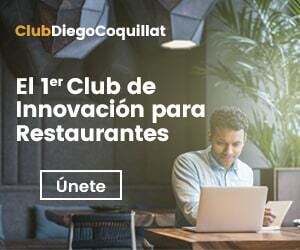 Now everything is connected, and in the coming years it will be increasingly through omnicanalidad and omnipresencialidad, which enables full convergence of two worlds today, for many of our customers and increasingly restaurants, and it is just one. The concept of the restaurant phygital (physical + digital) seeks union of these realities, mixing the physical with the digital, generating experiences that begin, continue, or end intertwining these two worlds, where technology is the conductive element that makes possible the perfect convergence between the two. The industry should work in generating experiences to customers integrate the best of these two contexts, taking advantage of the synergies and advantages that each environment has to build an inimitable dining experience that meets a new client that unfolds naturally in this new environment phygital, and the restaurant perceived as a unique experience, regardless begins, continue or end in a world or another. The speed, accessibility, connectivity or usability, are elements to consider within this phygital new experience, but also the direct deal, close and personal in the restaurant itself is a key element in this experience, where everything is integrated and multiplied. Our market has a differentiator against others who have a complete digital traceability, which it allows us to jump from one environment to another, because the client necessarily, At least for now, to ingest a physical product to complete your dining time. The technology is reinventing the customer experience in restaurants, where the digital home orders grow exponentially Worldwide, the online geolocation to optimize distances, the big data and artificial intelligence empowers restaurants to excite the customer through knowledge, robotics breaks all limitations preset and internet of things connects millions of people feeding a single click away. Where now, Thanks to this new context customers go to restaurants, but also restaurants are to customers in a physical form, digital and phygital.